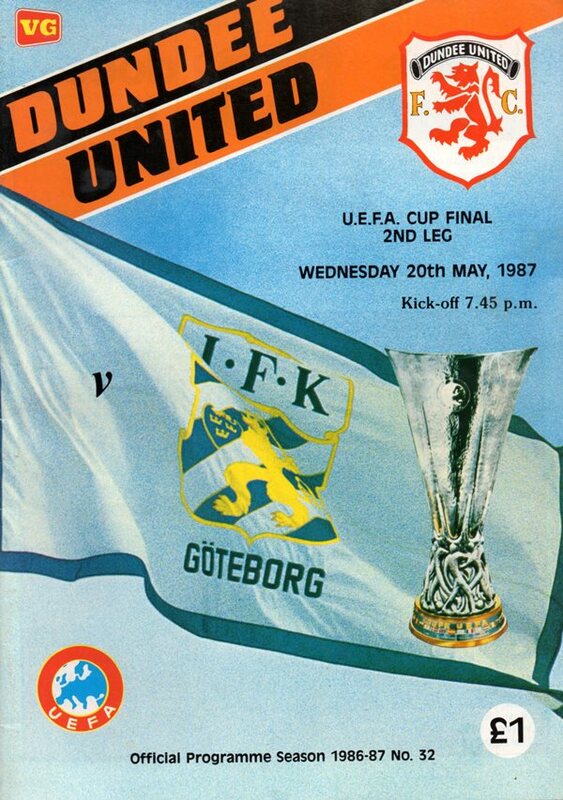 The gala occasion of a European Final turned out to be a disappointment from our point of view in terms of result, but not as a spectacle or as an advert for all the good things about the game. 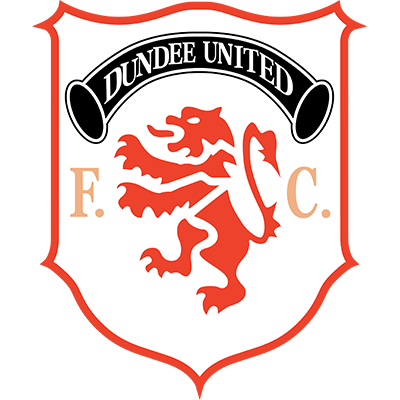 The match was played in the most sporting of manner and the final whistle brought similar sentiments from the terraces and stands where the 20,911 crowd warmly acknowledged the visitors, as well as the efforts of United and the Manager Jim McLean. It was an evening few who attended will forget. United's task from the outset was going to be of the highest magnitude. 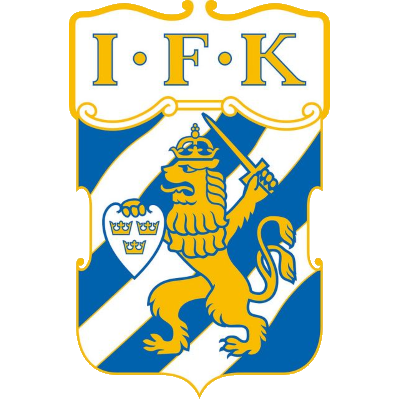 IFK, who had scored in every away tie in which they had participated, had to be kept from extending that remarkable run. As it transpired, Lennart Nilsson struck a raking drive fractionally inside Billy Thomson's right hand post to go ahead after 22 minutes. The was obviously the crucial blow, but, perhaps not the turning point. A bright start by us saw Kevin Gallacher set up a chance for Billy Kirkwood, whose shot struck Wernersson, rather than being saved by him. A goal after five minutes to completely level matters might well have been the start of a script with a different ending. At half-time Paul Hegarty came on for John Holt, allowing John Clark to move forward. The move paid dividends within 15 minutes when John Clark picked up an Iain Ferguson pass on the edge of the box. After controlling it, John wheeled to fire in a great goal past Wernersson. Tails up now, we piled on the pressure. A free-kick from John Clark was well saved, and crucially a flick by Kevin Gallcher evaded Wernersson, but climbed agonisingly over the bar. 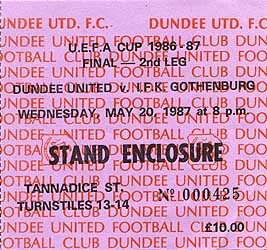 But it was not to be and perhaps the deflation following the defeat in the Scottish Cup Final proved equally as big a hurdle as the reputation and lead held by Gothenburg. However, it should take nothing away from what was an unbelievable cup run that gave the United fans memories that will last forever.